Yet again, it is that dreaded day of the week. It is the one we all dislike more than any other day of the week. It’s the day we try to prolong from actually happening by staying up as late as possible on Sunday night… which usually ends up resulting in an even worse Monday! But here I am to bring you a little bit of sunshine to your Monday, in another edition of Motivational Mondays! As a society, we are surrounded with so many visual pictures of how we would like our lives to look. Let’s just start with Pinterest. Yes, I know this has been a tool for so much success and inspiration for many (myself included). But what is it really showing us? It’s showing us that we should have perfect homes, perfect parties, perfect-looking desserts, and even more so… perfect bodies! What is perfect? According to the dictionary, to be perfect is to be without defect or blemish. What exactly does that mean? And how is a life like that even possible? How is it possible to live up to all of those expectations that society has set up for us? How is one person able to live that perfect life? 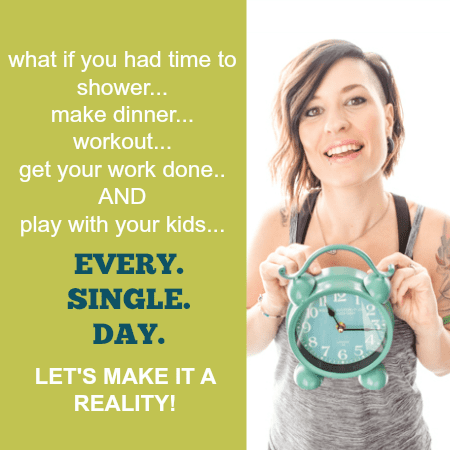 Let me tell you about my not so perfect life as a healthy living blogger. – I sometimes have to resort to pizza nights or even Burger King Veggie Burgers!! eek! Okay, enough about revealing my imperfections. I just wanted to share this with you because I want you to see that I live a life full of imperfections. I want you to see that I’m not trying to be something that I’m not. I’m not trying to be this perfect health nut. You know what I am? I’m REAL. I’m as real as they come. Yes, I know how to live a healthy life. And yes, for the most part, I do my best to achieve a healthy way of living. I am super happy with the way I live, even with those imperfections. Because, in the end, I love how I feel when I drink a couple glasses of wine. I love the taste of my coffee. I love late nights. I love playing with my family and ignoring housework. And I truly love not sleeping in just an hour longer every so often, even if it means missing my workout. It is 100% okay to not be perfect. You are not going to lose any life points. You are not going to be less of a person. But what you will be is a real human being with a real life. So the next time you “slip up” and end up eating a few too many potato chips. Or you “accidentally” skip a meal. I want you to remember something. It is okay to not be perfect. You are just doing the best that you can. If you didn’t work out this morning, it is okay because this awesome thing happens in our lives, and we get to start all over tomorrow! Tomorrow is a brand new day. Every moment is a new moment where we can fix our slip-ups and make up for the things we are unhappy with. I challenge you to accept your imperfections in your life. Those that you are incredibly unhappy with… change them. 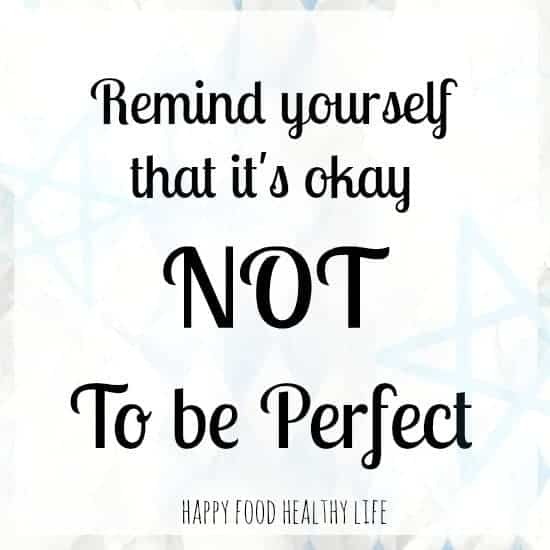 Those imperfections you are okay with… let them continue on and live your life as YOUR version of perfect! Anyhow,great insight, Holly. I once hear Dr. Oz make a comment that goes a little like this: “It’s okay to make a U-turn.” This quote has stuck with me since I heard it years ago, because whenever I find myself doing something that’s not so healthy, I know that I can just bust a “U” and head back in the right direction. And I will not beat myself up over it, because like you said, I’m not perfect. And I am not going to try to pretend to be. That’s exactly right Serena! You can absolutely make a U-Turn! That is where so much of my recovery has come from. I said to myself, “wait a minute! what the hell are you doing and why the hell does food have control over yourself? ?” Aren’t you your own human being who can make your own choices and direct your own life?! That is the absolute beauty of being human. We get to make the choices and call the shots. Yes, some things are out of our control, but SO much is IN our control. And you’re right… it’s all about moderation, and enjoying the things in life you desire. Yes, I could be super lean and stick thin, but would I be happy? No, because I would have to cut out the foods I love in order to get there, and that’s just not worth it to me anymore.